I'll get back to my final toys wrap-up post shortly, but I'm going to insert my video-of-the-year post first. It's not precisely the best movie or video we saw in 2010—that'd be Toy Story 3, predictably enough—but I figure few parents need me to tell them about movies they've probably seen already, and certainly have had ample chance to read reviews of. So other than to say we also liked How to Train Your Dragon quite a bit more than we expected to, I'll leave the big studio DVD releases alone. But there is one category of DVD that isn't as well advertised, or as much talked about, as Pixar movies and PBS Kids shows: the Scholastic Storybook Treasures DVDs. (For those unfamiliar, these are simply-animated versions of picture-book classics old and new, by everyone from Sendak to Willems.) I've sung the collection's praises before in this space—honestly, it's been our main video go-to for years now. 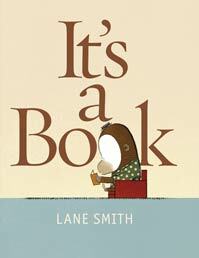 And our favorite of this year’s new releases in the series would have to be The True Story of the 3 Little Pigs!, from Jon Scieszka and Lane Smith's typically clever twist on the original tale. (If you don't know the wonderful book, it's narrated by "Alexander T. Wolf," who attempts to explain how his devastation of the first two pigs' homes and his attacks on the lives of all three were all just a big misunderstanding.) In the animated version—the art, as always in these videos, taken directly from the original illustrations—Paul Giamatti has a great time doing the voice of the seemingly earnest wolf. Our family enjoyed it an awful lot ourselves; it's one of those DVDs where you find yourself sneaking into the room to watch with your kids even when you were supposed to be, I don't know, making dinner or something. Giamatti's performance is irresistible. First off is an entry that decidedly did not come out last year, but that’s when we found it. Until my kids were old enough to be interested in them, I'd never quite gotten the appeal of customizable toys like Build-a-Bear and American Girl dolls. (But then, I am not a kid.) But this year, both my six-year-old and my two-year-old got robot fever, and then we stumbled over a place called RobotGalaxy. It's pretty much Build-a-Bear for machines: Kids create their own robots from various interchangeable parts, picking a head-and-torso core and various tool, shield, or weapon (yes, there are weapons, though they're expressed fairly broadly through shapes and lights) limbs. 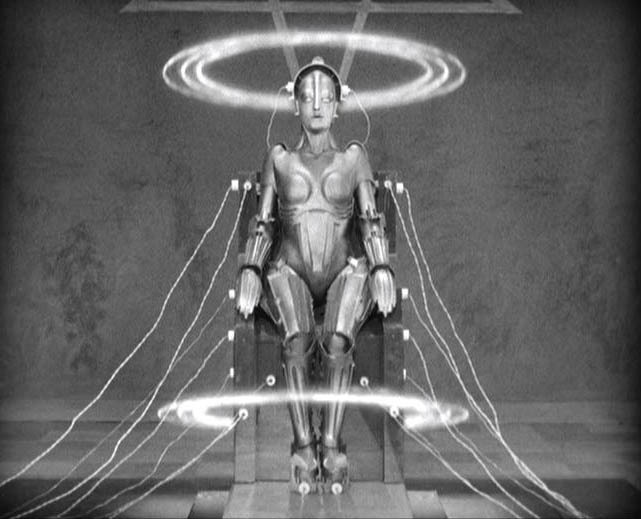 The staff helps children make their selections, gets them to give their creation a name, and then "activates" the robot in a little whistles-and-bells-laden chamber right out of Metropolis (but stripped of the sinister overtones, naturally). The robots don't really do all that much—each arm or leg has a distinct function that's expressed via sounds and/or lights when you press its button, and each head speaks a few preprogrammed lines. 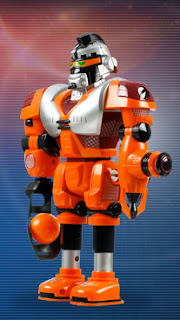 There's also an online community you can connect the robot to via USB, with games and a little virtual world and such. But the price per robot (generally somewhere in the $50 to $75 range) is pretty steep for that. What I finally got about these customized-toy places, as I watched my son beam while he picked out his parts (including a female head-torso piece), is that a big part of what they're selling is the experience itself—the moments of free choice that don't present themselves too often to grade-school kids. The look on Dash's face as he went through the process was a mixture of pure delight and disbelief that this was even happening. So while I can't really argue with anyone who says RobotGalaxy is overpriced based on the merits of the end product, I looked at the extra cost as thie price we paid for the show, as it were—a fee for Dash's glee, and our own warm feelings watching it. All those good vibes seemed to rub off on the robot herself, too—he plays with it far more than I would have expected for something with fairly limited features. (It would appear that the song-and-dance that accompanied its acquisition engaged his imagination pretty well.) Somewhat to my surprise (I can be pretty cheap), I haven't regretted the purchase, or the experience, at all. So I was thrilled to see two sequels from Murray arriving on these shores last year. 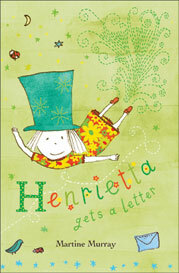 And while the surprise factor—just at the author's amazing ability to pull this voice off so well—may be a thing of the past, both Henrietta the Great Go-Getter and Henrietta Gets a Letter are otherwise as delightful as the original, giving readers craving more of Henrietta exactly that. Now, while I did notice that Henrietta shares certain of the more effusive, enthusiastic aspects of her personality with my Australian friends (there's one in particular I'm thinking of; she probably knows who she is on the off chance she's reading this), I had not at first thought of the qualities that set Murray's books apart as quintessentially Australian. 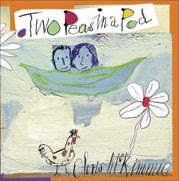 Until, that is, a bit later last year, when I ran across Chris McKimmie's Two Peas in a Pod, on the surface a very different book from the Henrietta ones. For one thing, it has a plot—it's an entry in the classic "best friend moves away" genre. But it features an undeniably similar energy, and it likewise captures the mindset and point of view of a child marvelously through McKimmie's writing and vivid, expressive, often page-packing illustrations. Combine this revelation with my previously expressed regard for Australian illustrators like Sophie Blackall and Freya Blackwood (whose lovely Half a World Away even covers the same subject as McKimmie's book; I guess friends' moving far away is a particularly common issue for Australian kids? ), and I'm fully expecting a full-scale Australian invasion in kid lit any day now. 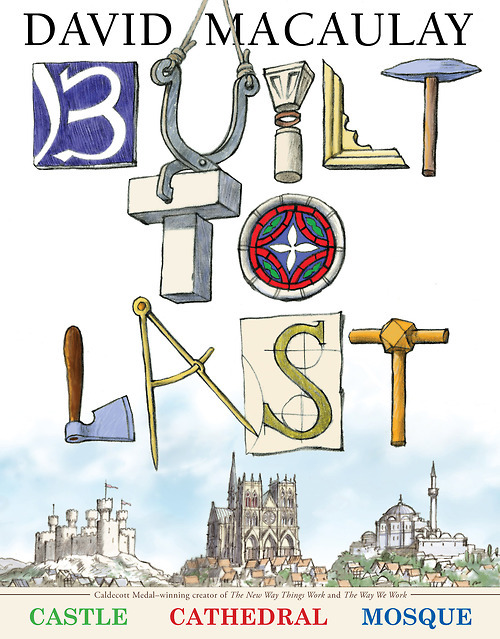 And that does it for my meandering path through my favorite new kids' books of 2010! Any parent with boys of the age to be reading chapter books can hardly help becoming aware of a genre aimed squarely at their kids: gross-out books, usually involving monsters or zombies or some other creepy creatures of one sort or another, with descriptive passages featuring gruesome details (of a cartoony nature, rather than a literal one) thereof. Based on the sheer volume, I imagine that some publishing study has identified this subject as particularly appealing to young boys, and thus particularly likely to get that demographic to put down the DS and start reading. Judging by my six-year-old, the study wasn't wrong; while he's far from resistant to reading just about any type of book, spooky, creepy topics light up his eyes. I suppose it's nothing new, really; I recall learning and delighting in the old classic about "great green globs of greasy, grimy gopher guts" at about this age. Trouble is, the majority of the chapter books being churned out to satisfy this market are ... well, not very good—clearly written quickly and without much care. This bothers the target audience not one bit, from my observations, but it is a bit of a drag for those of us charged with reading these books to our kids occasionally. Barnaby's work inevitably seems to carry him into the path of all sorts of trouble, much of it supernatural. For instance, in Legion of the Dead, a delivery involving funeral materials leads him to a graveyard where the dead have apparently begun to rise (you can imagine the gross-out potential); a curse brought back from military campaigns in India turns out to be the culprit. 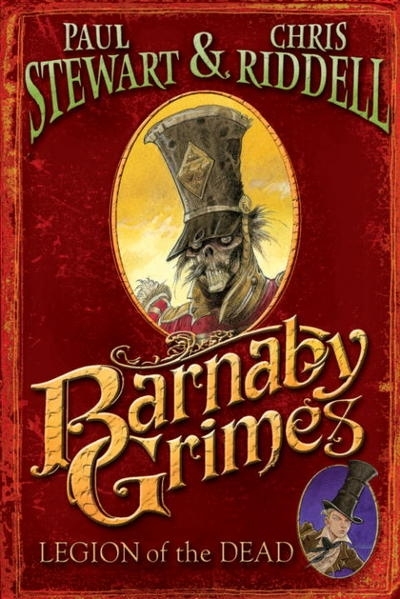 Stewart and Riddell are smart enough, for these creepy tales, to stand on the shoulders of great writers past: Shades of Dickens and Kipling (as well as maybe a touch of Poe) are evident in their storytelling. Yet all the while, the writing remains at a level within, rather than removed from, its genre—these are not the marvelously macabre but also more literarily challenging children's books of Neil Gaiman (more on which soon, by the way). Which means your child can have his page-turning light gross-out lit, and you can smile, rather than grimace, as you read it to him. As an adult reader, I go for relatively little new fiction, in favor of older writing. I figure the cream of the crop has had more time to rise to the top, and certainly there's no shortage of classics that my schooling and personal reading have still left untouched. Given my extremely limited reading time (I am a parent of young kids, after all), my chances of striking literary gold seem stronger with that stuff. Things have been changing, though, largely thanks to the New York Review of Books Children's Collection, which continues to publish five or so of their trademark beautiful hardcover reissues of forgotten out-of-print kids' titles every year. 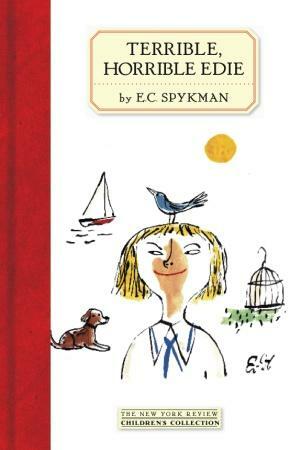 It appears 2010 was an early-1960s year: We got E. K. Spykman's sparkling, offbeat 1960 chapter book Terrible, Horrible Edie; Marjorie Winslow and Erik Blegvad's infintely charming 1961 cookbook for dolls, Mud Pies and Other Recipes; a whimsical 1963 fable from Rhoda Levine and Edward Gorey, Three Ladies Beside the Sea; and Alastair Reid and Bob Gill’s 1960 picture-book paean to creative imagination, Supposing. Everything NYBRCC selects to republish is of such high quality, and the volumes are such gorgeous little gems of book production (just the right amount of old-fashioned), that I've come to anticipate every new reissue—if you’ll pardon the oxymoron—with only slightly less eagerness than readers of Dickens's serials must have awaited the continuation of his novels. Other publishers seem to have caught on, at least with regard to their own backlists; the year saw a number of compilation volumes of greatest hits past. 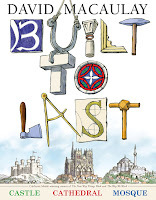 David Macaulay reached back to some of the books with which he first made his name—the classic architecture-for-kids titles Cathedral, Castle, and Mosque—dusted them off, and updated them for the marvelous Built to Last. Sara Pennypacker's neurotically hilarious Stuart books got a (remarkably affordable!) 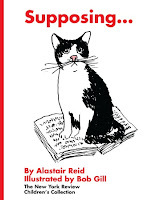 three-book compilation edition as well, The Amazing World Of Stuart. I hope the trend continues and enlarges; there's still an awful lot of good material out there waiting to be rediscovered. (Not to harp on it, but I'd certainly be obliged if some helpful publisher would reprint the personal childhood favorite I mentioned a post ago.) In the meantime, I'll go wait for the next scrumptious NYRBCC title. Coming in part 4: Can gross-out books for boys be literary? The first was the subject of my very first post for this blog: George O'Connor's marvelous Olympians series, graphic-novel treatments of the tales of the major Greek gods. (Thus far we have Zeus and Athena, with hopefully many more on their way soon.) 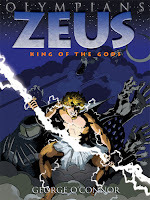 The conversion of the myths to the typical comic-book format and tone certainly has the effect of lightening the traditional weight of these stories, but that's a good thing—after all, the origin stories of the Olympian gods are among the more impenetrable myths in most retellings. O'Connor cuts right through that with his dynamic and colorful panels, while also remaining remarkably faithful to the original stories. His sources are the ancient poets and writers themselves (Hesiod, Pindar, etc. ), and it shows. The results are irresistible to children—my older son couldn't put these books down for months—and also some of the clearest, most expressive, and I think truest representations in the English language of these old, old tales. The second, which came out late in the year, handles the myths in more usual children's-book fashion. 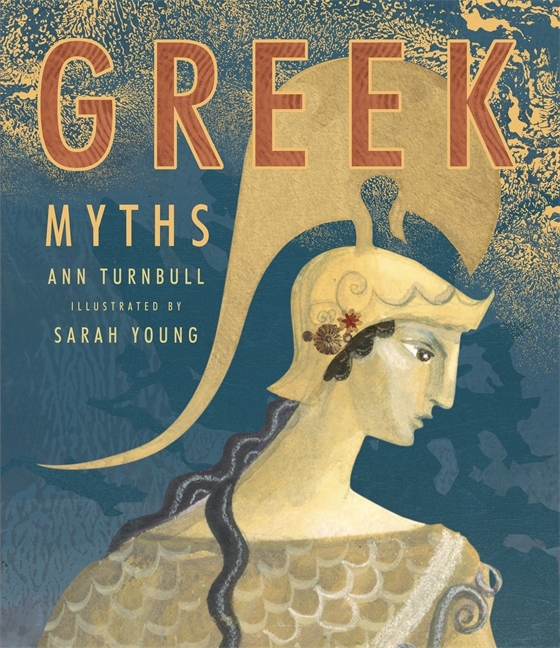 Greek Myths is a hardcover volume of concise retellings by Ann Turnbull of many of the more famous stories, accompanied by Sarah Young's gorgeous illustrations, which are modeled after classical Greek vase art. (The images bring to mind an out-of-print favorite of mine from my own childhood, a large-format Golden Books The Iliad and The Odyssey by Jane Werner Watson, illustrated in unforgettable fashion by Alice and Martin Provensen.) But if the format of Turnbull and Young's work is nothing new, their execution is among the best I've seen: clear storytelling and evocative art that, for me, catapults this book past the D'Aulaires' one (which, while groundbreaking in its time, feels pretty dated these days on both fronts). 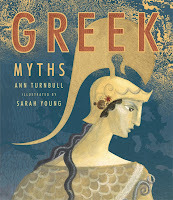 Going forward, Greek Myths will be my primary recommendation as a children's Greek-mythology primer. Coming in part 3: Looking backward. I wrote about most of my favorite kids' books of 2010 in individual posts during the year, of course, and especially in this category, a true "best of" list would for the most part just echo those posts directly. So instead, I'm going to mention some of the trends I saw during the year in my and my kids' reading, which will allow me to give nods to both books I've covered in the blog and ones I've missed or not gotten around to yet. And since I haven't been posting nearly as often as I'd like of late, and this post will probably get long enough that writing it will put things off another few days otherwise, I'm also going to break it up into multiple posts. So, first off: As has been common in recent years, many of the most brilliant and revelatory picture books of the year were either nearly or entirely wordless. 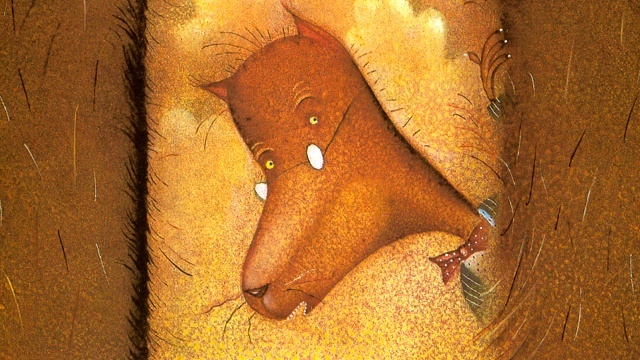 In some cases, the focus on image and imagination was the explicit point (David Wiesner's Art & Max, Suzy Lee's Shadow); in others, it was just a remarkably effective way of telling the story (Elisha Cooper's Beaver Is Lost and even his somewhat wordier Farm; Bill Thomson's Chalk; Lane Smith's It's a Book). All of them demonstrate one of the lessons Pixar—and Charlie Chaplin, for that matter—have been teaching creators of kids' entertainment for years now: Sometimes, a great idea told entirely through images is the best storytelling there is. Tomorrow: What Rick Riordan hath wrought.